Being a long-suffering victim of oily/combination skin, I’m always on the look-out for a miracle product that will reduce shine, moisturise and create the perfect matte base for make-up. So, with that in mind I decided to give the Bioderma Sebium Mat Moisturising Mattifying Fluid a whirl – a product that’s exclusive to us at Escentual! This latest innovation from French Pharmacy favourite Bioderma claims to treat the cause of shiny skin immediately and durably whilst providing long-lasting hydration. Sicilia and micro-pearl mirco-particles are infused into the formula to create an optical reflection correction effect; to me and you this just means that your skin reflects less light throughout the day, thus looking less oily! Sebum production is regulated with Zinc Gluconate and Vitamin B6, whilst the patented Bioderma Fluidactiv® technology maintains sebum quality and prevents pores from clogging up. With frequent use the keratoregulating agents (AHA esters) speed up cellular renewal and tighten up pores to redefine skin texture. 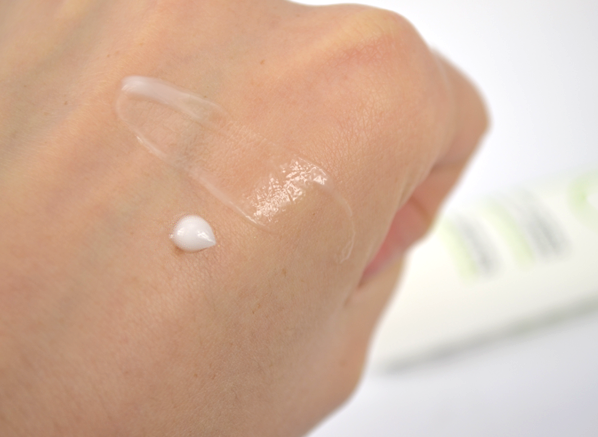 The Sebium Mat is a translucent gel-cream with a lightweight texture. It’s lightly fragranced, with a clean, slightly fruity-soapy scent. I’m not usually a fan of fragranced facial moisturisers but the scent of this was so neutral that it didn’t bother me and it faded quickly. I applied it with my fingers and it glided over my face easily, even on my dry patches. Once applied it was quickly absorbed with a reassuring firming feeling. My skin was left lovely and smooth with a matte finish: the perfect base for make-up. 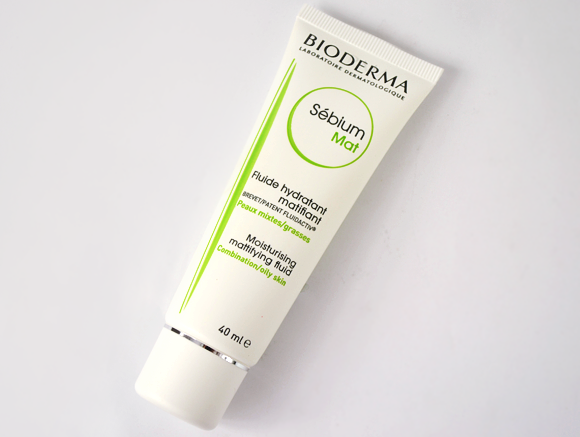 Usually I’d apply a primer after moisturiser, but I’ve found that I haven’t needed to when using Sebium Mat. My Vichy Dermablend Fluid Corrective Foundation went on smoothly with my Real Techniques Miracle Complexion Sponge, with no flaking, streaking or clinging to dry areas. However, since using the Sebium Mat over the past two weeks I’ve found myself only needing to blot once, maybe twice a day in the mid-afternoon to early evening. That’s a good 7-8 hours without needing to blot, which for me is nothing short of miraculous! I could, dare I say it, even forgo the blotting papers… or at the very least not get so anxious when I’ve left them behind in the future. Another plus for this cream (not that it needs any more praising really!) is its pore-minimising capabilities. I’ve got a bit of a problem with enlarged pores on my nose but I’ve noticed that they are looking less and less pronounced with each use which is another big thumbs up from me! 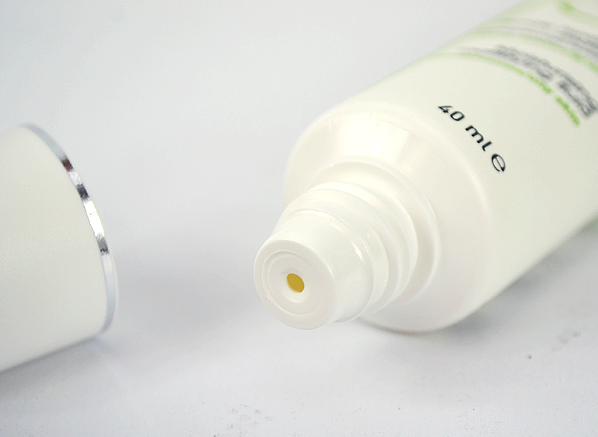 It’s worth mentioning though that this moisturiser doesn’t contain any SPF, so it’s important to make sure you’re protected with a foundation with SPF or a separate facial sunscreen. This will definitely be a summer skincare staple for me going forward. I feel that it might not be hydrating enough in the winter months as it’s such a light cream, but I can envision myself using it a primer for just my T-zone then instead. I found that two blobs of this cream was enough to cover my face and neck, so this 40ml tube should last a long-time, although it’s pretty affordable in any event. For all you oily-skin sufferers out there, I wholly recommend this mattifying moisturiser. Give it a go – I bet you won’t regret it! This entry was posted on Friday, July 18th, 2014 at 10:18 am and is filed under French Pharmacy, New products, Skincare, Tried & Tested. You can follow any responses to this entry through the RSS 2.0 feed. You can skip to the end and leave a response. Pinging is currently not allowed.